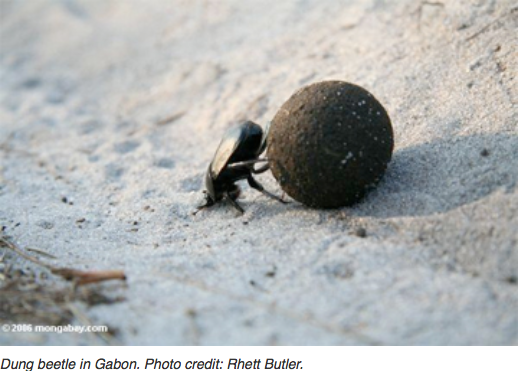 Dung beetles are part of nature’s cleanup crew. These beneficial insects eat and bury dung and, in the process, recycle nutrients back into the soil while removing breeding grounds for pests. 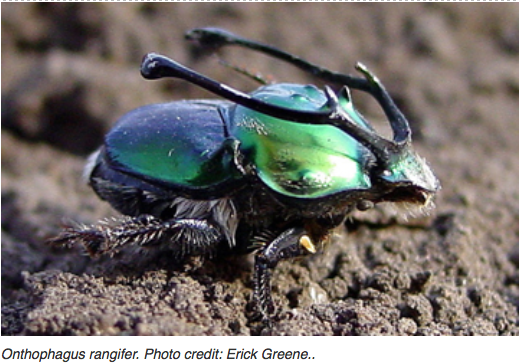 Before you say “ewwww,” picture a world without dung beetles. In fact, you don’t even have to imagine it because decades ago Australia experienced it when they cleared acres of forests for their cattle. It wasn’t long before manure smothered the fields and pest fly populations exploded. The problem was that Australia’s native dung beetles were all forest specialists. None would venture into the dry, open rangeland. The Australian government started addressing the problem in the 1960s when it introduced ecologically sustainable species of dung beetles from Europe and Africa. It selected species (most notably Onthophagus gazella and Euoniticellus intermedius) that operated solely in open habitat and never crossed into forests. The result was dramatically improved pasture quality and fertility along with a 90 percent drop in pestilent bush fly populations. While dung beetles are small, ranging from less than 0.1 inches (2 mm) to 2.5 inches (6 cm), they are powerful. They routinely roll 50 times or more of their body weight. A male Onthophagus taurus, for example, can pull over 1,100 times its own body weight. That’s like a 180-pound man lifting over 55 hippos! Dung beetles live all over the world (except Antarctica) and thrive in every type of habitat, from deserts to rainforests. They are incredibly diverse, with many specialized to process feces from specific species. Some feed only on giraffe dung, others only on elephant dung, and still others only on dung from packrats. The species Uroxys gorgon clings to the furs of sloths waiting for their ride to defecate. When it does, these beetles drop down with their prize. Another species does the same with koalas. The fact that dung beetles have adapted for just about any type of dung you can think of is one of the reasons over 10,000 different species exist. How do they work? For Onthophagus beetles, females first dig a tunnel underneath a pile of manure and then spend days pulling bits and pieces down into it, packing the dung into a sausage-like brood mass. For each mass, the female dung beetle hollows out a cavity at the end, constructs a tiny stalk, and then deposits an egg that it sits suspended in the chamber. She then fills in the tunnel behind her and starts another…and another. When the egg hatches, the larva remains inside this brood ball, eating it completely as it grows. When it’s done developing, it crawls to the surface to repeat the cycle. Ancient Egyptians revered dung beetles (or scarabs) and often used their images in their religious and funerary art. To them, dung beetles represented transformation, renewal, and resurrection. Now, what about you? 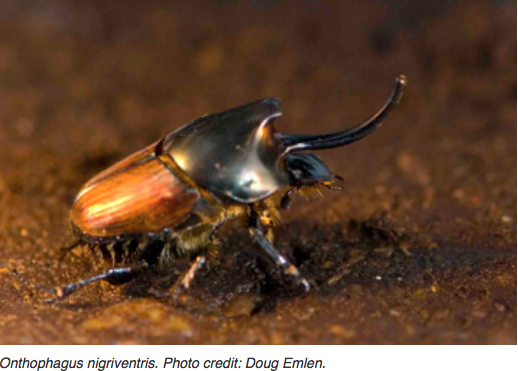 For more information: Listen to an interview with dung beetle expert Doug Emlen on Laurel Neme’s “The WildLife” radio show. Or read an edited transcript on Mongabay.com.